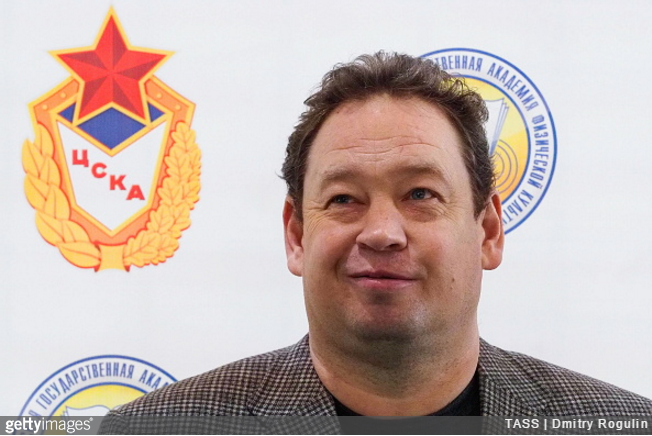 Hull City are reportedly close to appointing former CSKA Moscow coach Leonid Slutsky as their new manager. After losing previous incumbent Marco Silva to Watford a week or so ago, Hull’s owners, the Allams, met with Slutsky recently to discuss the Russian stepping into the breach. Former Russia and CSKA Moscow coach Leonid Slutsky is set to become Hull City’s new manager. The 46-year-old left CSKA back in December after winning three Russian Premier League titles in seven years, and has apparently spent the last six months living in London (as a guest of Roman Abramovich) while he learns to speak English. FUN TRIVIA: Slutsky was forced to retire from playing football at the age of 19 due to a serious knee injury he sustained after falling out of a tree. ‘But what was he doing up said tree?’, we hear you cry in bemused unison. Who wouldn’t want a fat version of Tom Hanks to sit on their club’s bench? With that last name as well.. Fat Tom Hanks – love it. You’ve created the opposing fans’ chant already!